Abstract: In this talk I will present perspectives on the convergence of Cyber Physical Systems, Big Data, and Smart and Connected Communities with an emphasis on NSF activities Our vision is that Smart and Connected Communities is one in which the effective integration of data sources, networked computing systems, and sensors with people, decision-making, and physical infrastructure will enable more livable, workable, and sustainable communities--regardless of place or scale—broadly and inclusively improving quality of life for all citizens in a diverse and heterogeneous society. The impacts will be far reaching, with potentially transformative applications in areas including transportation, energy, health, environment, education, public safety, emergency response, and others. There is no smart city without people. SCC research is made more challenging by the need to not only embrace technology but the human side and economic principles. We are looking to specifically show that foundational research can make a difference – not only in the long term – perhaps 10 or so years – but can also have impact through pilots that demonstrate feasibility and suitability for deployment. SCC research must face the crucible of real world challenges to show significant quantitative impact and viability before the major deployment investments by municipal, state, regional, or National governments will take place. This is a very different research model. Finally in this talk we will provide some examples of past and current research projects in this area that are beginning to help us define a more comprehensive and longer term research agenda. 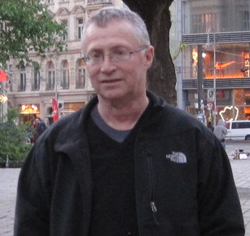 Bio: Dr. Corman obtained a dual BS degree in System Science and Mathematics and Applied Mathematics and Computer Science from Washington University in 1977. He then obtained a dual MS degree in SSM and Mechanical Engineering from Washington University in 1978. He completed his graduate education at the University of Maryland – College Park, and obtained a PhD in Electrical Engineering in 1983 with a major in controls and minor in communications. While at Maryland, Dr. Corman also worked at the Johns Hopkins Applied Physics Laboratory in the area of estimation, detection, and control. He worked for McDonnell Douglas / Boeing in a variety of positions. His work included a broad portfolio of DARPA and Air Force Research Laboratory research programs including Software Enabled Control, Mixed Initiative Control of Automa-teams, Threat Agent Cloud Tactical Intercept and Countermeasures, and Adaptive Vehicle Make. He was elected a Boeing Technical Fellow in 1999. Dr. Corman joined NSF’s Computer and Information System Engineering (CISE) directorate as an IPA in March 2013 as a Senior Research Scientist with the University of Maryland’s Institute for Systems Research. He was appointed as a Research Associate Professor in the Preston M. Green Department of Electrical & Systems Engineering at Washington University in St. Louis, in March 2015. Dr. Corman’s current research interests are in the field of Cyber Physical Systems (CPS), security for CPS, unmanned systems, manufacturing, and Smart and Connected Communities. He has approximately 30 publications and has obtained five patents. Abstract: Self-driving vehicles seem to have become quite the rage in popular culture over just the past few years, triggered in good part by the DARPA Grand Challenges. Self-driving vehicles indeed hold the potential to revolutionize modern transportation. This talk will provide some insights on many basic questions that, need to be addressed for the revolution to take place in practice. What are the technological barriers that currently prevent vehicles to be driverless? What can or cannot be sensed or recognized? Can vehicles recognize and comprehend as good as, if not better than, humans? Does connectivity play a role? Will the technology be affordable only for the few? How do issues like liability, insurance, regulations and societal acceptance impact adoption? The talk will be based on road experiences and will add some speculation. 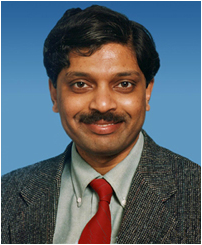 Bio: Prof. Raj Rajkumar is the George Westinghouse Professor of Electrical & Computer Engineering and Robotics Institute at Carnegie Mellon University. At Carnegie Mellon, he directs National University Transportation Center on Safety, which is sponsored by the US Department of Transportation. He also direct the Real-Time and Multimedia Systems Laboratory (RTML), and co-directs the General Motors-Carnegie Mellon Connected and Autonomous Driving Collaborative Research Laboratory (CAD-CRL). Raj has served as the Program Chair and General Chair of six international ACM/IEEE conferences on real-time systems, wireless sensor networks, cyber-physical systems and multimedia computing/networking. He has authored one book, edited another book, holds three US patents, and has more than 150 publications in peer-reviewed forums. Eight of these publications have received Best Paper Awards. He has given several keynotes and distinguished lectures at several conferences and universities. He is an IEEE Fellow, and an ACM Distinguished Engineer. He has been given an Outstanding Technical Achievement and Leadership Award by the IEEE Technical Committee on Real-Time Systems. Prof Rajkumar’s work has influenced many commercial operating systems. He was also the primary founder of Ottomatika Inc., a company that focused on delivering the core software intelligence for self-driving vehicles. Ottomatika was recently acquired by Delphi. His research interests include all aspects of cyber-physical systems.